Ricardo is now leading a relative newcomer to the blockchain industry under the brand Forex Coin. Multi-asset brokerage Tradeview Markets this month has seen the departure of Ricardo A. Grados, the group’s vice president of sales and trading. The decision will see Grados part ways with Tradeview after nearly a three-year stint, as he leaves the world of mainstream investment for the virtual world of cryptocurrencies. Grados is now leading a relative newcomer to the blockchain industry under the brand Forex Coin, which is looking to use Bitcoin’s underlying technology to streamline certain investment activities such as the social trading and asset management. The company is not a trading platform or an exchange. Rather, it plans to provide fund management and other financial solutions that it says will improve the investment process by making it faster, cheaper and more secure. Grados is not sharing inside details on the new company just yet, but just like a number of crypto-related start-ups that have cropped up recently, Forex Coin is not regulated in any specific jurisdiction. 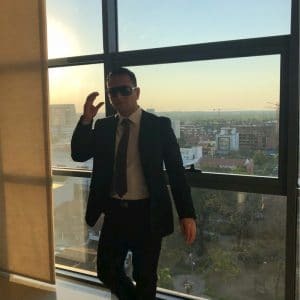 He shares more of his interest around cryptocurrency in LinkedIn posts, pointing out the opportunities that exist within the blockchain, adding that the technology is needed to disrupt diverse industries, including his field of expertise. Grados’s departure comes amidst a transition period at Tradeview which saw a number of executive reshuffles and new projects in recent months.